Raised on a small hillock, and thus referred to as the Golden Mount, this wat offers great views of Chinatown to the south and the Old City to the north. The hill is all that is left of the fortifications for a large chedi that Rama3 planned to construct on the site that gave wau under the weight. 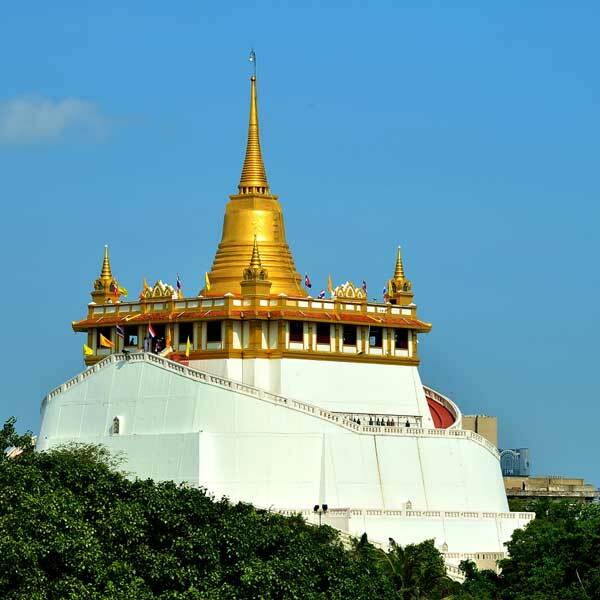 Rama5 built a smaller chedi on top, which was subsequently expanded to house a Buddhist relic inside. The temple is worth a visit for the view if you areprepared to hike up the 318 steps.